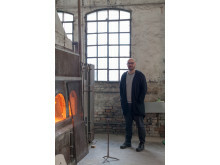 The exhibition Heritage, which opens on February 5, features the lighting collection Fusa designed exclusively for Svenskt Tenn, produced on the island of Murano outside Venice and designed by Luca Nichetto. 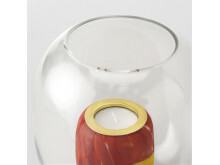 Coloured glass fragments from a number of glass producers on the island have been reused rather than wasted. This year marks 85 years since one of Sweden’s most renowned designers came and enriched his new homeland with colourful prints and timeless interiors. 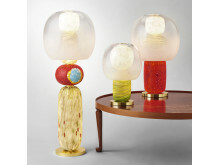 To commemorate this, Svenskt Tenn has created an exhibition presenting a mix of newly produced and classic designs, as well as objects from the archives – all created by Josef Frank. The Historical and Contemporary Design exhibition opens today with both new product releases and new products being shown for the first time. 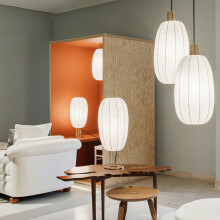 Among other things, Michael Anastassiades has designed three new lamps for Svenskt Tenn, produced by FLOS. Fashion designer Lars Nilsson has experience from leading fashion houses including Nina Ricci, Christian Dior, Bill Blass, Ralph Lauren, Christian Lacroix and Balmain. He has also created his own men’s fashion line, Mr Nils. 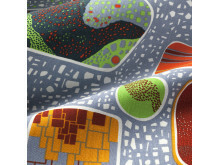 Active in Paris, London and New York since 1985, Nilsson is now venturing into interior design with his first interior textile collection, created for Svenskt Tenn in Sweden. 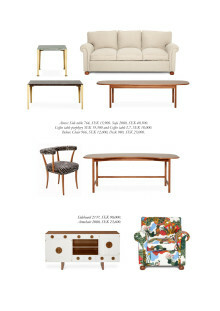 Svenskt Tenn is launching eight pieces of furniture by Josef Frank, some of which have never been manufactured before. Svenskt Tenn is now about to launch eight pieces of furniture by Josef Frank, some of which have never been manufactured before.